Welcome back to the Yankees, Andy Pettitte. Earlier today Pettitte was named a special advisor to GM Brian Cashman, the Yankees announced. Pettitte said Derek Jeter tried to woo him to the Marlins — Jorge Posada recently joined Miami as a special advisor — but he wanted to remain a Yankee. “I’ll take as much Andy as I can get,” said Cashman to Bryan Hoch. Pettitte told Jack Curry his role will be “as loose as you could imagine,” and will allow him to coach his son Luke’s eighth grade baseball team this spring. 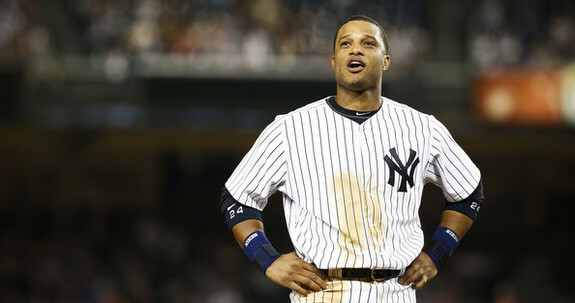 He’ll assist Cashman however needed on the Major League and minor league side. Typical special advisor stuff. The Yankees have never been shy about bringing aboard former players as special advisors. 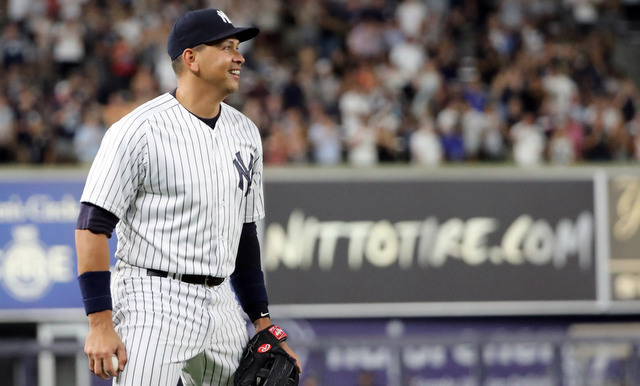 The special advisor stable currently includes Pettitte, Carlos Beltran, Hideki Matsui, Reggie Jackson, Alex Rodriguez, and Nick Swisher, among others. I’d bet on Mariano Rivera getting the special advisor title soon as well. There are four notable former Yankees eligible for election to the National Baseball Hall of Fame in 2019. Two will almost certainly never be elected. Andy Pettitte, a beloved fan favorite, simply doesn’t have the case and Gary Sheffield’s more compelling case is not translating into votes. Of the two remaining, Mike Mussina should already be enshrined—and 2019 may finally be his year. That leaves Mariano Rivera, about whose candidacy there is no doubt. He will be inducted in 2019, but for a player like Rivera, mere induction is not enough: he deserves to be the first player unanimously voted into the Hall of Fame. Mike listed why he will not receive that honor a few weeks ago, and the reality is that he is right. Odds are a voter or two will strategically create a spot on their 10-spot ballot for a player who may need to clear the 5 percent threshold to remain on the ballot in 2020 by leaving off near-lock Mariano. But deserves to be and will be are different arguments, and on the merits alone, there is simply no compelling case to be made for leaving Mariano off of even a single ballot. Rivera pitched 1,283.2 innings in his 19-year career (1996-2013), almost all of them in the 8th or 9th inning of close games. He was on the mound for the final play of an MLB record 952 games, recorded another MLB record 652 saves and compiled the best league-adjusted ERA (2.21 ERA, 205 ERA+, 49 ERA-) for any pitcher with over 1,000 innings pitched in the history of baseball. He walked only 2 men and allowed per 7 hits 9 innings pitched for a clean 1.000 WHIP, and, most impressively, gave up one home run every 18 innings pitched. All of this in the steroid-era against many of the game’s most fearsome hitters. This translates to a 56.2 bWAR, which is the most WAR compiled by a reliever by a truly laughable amount. Jay Jaffe’s JAWS ranks him second, but that’s because Dennis Eckersley’s total is skewed by his years as a starter. As Mike wrote, among pitchers with 80 percent or more of their appearances in relief, Rivera is first in WAR—Hoyt Wilhelm is second at 50 WAR in more 1,000 more innings, and if you squint, you can see Goose Gossage’s 41.9 WAR in 3rd place. Rivera’s contemporaries in the top 30, Tom Gordon (34.9) Joe Nathan (26.7), Billy Wagner (27.7), Trevor Hoffman (26.7) and Jonathan Papelbon (23.5) are not even close. That is especially noteworthy because of an obsession among baseball writers to anoint his successor, even when Rivera himself was still dominating. A Google search of “next Mariano” reveals that Roberto Osuna, Zach Britton, Joba Chamberlain, Craig Kimbrel, Kenley Jansen and Jonathan Papelbon have all been dubbed baseball’s next Rivera. The best of these comparisons occurred while Rivera was playing, and almost always ended in a humorous fashion. That’s because of almost superhuman longevity, which is worth detailing in a quick exercise by highlighting three seasons in the beginning, in the middle and very end of his career. At age 26, Rivera logged what is one of the most dominant seasons in relief in modern baseball history. In 107.2 IP he pitched to a 2.09 ERA (240 ERA+) with a 1.88 FIP, 10 strikeouts per 9 innings pitched and surrendered only 1 home run. He was worth, according to Baseball-Reference, an absurd 5 wins as a multi-inning setup reliever and was a key player in the shocking 1996 World Series run. In 2006, a decade later, 36-year-old Rivera posted another 4 win season. In 75 innings had a 1.80 ERA (252 ERA+) despite only recording 6 strikeouts per 9 innings (but walked only 1 per 9) and surrendered 3 home runs. This was hardly a notable season at the time; it was just another season of Mariano Rivera being Mariano Rivera. Finally, at age 43 in 2013 (a year after a season-ending ACL injury), Rivera had 44 saves in 64 innings. His 2.11 ERA (190 ERA+), nearly 8 Ks per 9 and impeccable control (1 walk per 9) remained in line with his career numbers; he retired because of the travel, not because of any regression or diminished returns. This, more than anything else, is what separates Mariano Rivera from his peers—three seasons, each almost ten years apart, in which he was virtually unhittable. But if Rivera’s regular season achievements have no comparisons, it is the postseason where the separation is most stark. There’s almost no point repeating the laundry list of achievements, but two things stand out: 1) Rivera got better across the board in October (he had a 0.70 ERA) and 2) in 141 postseason innings (two full seasons), Rivera surrendered only two (2!!) home runs. He won 5 World Series, was on the mound for the final out of four consecutive World Series and had some of the most heroic performances in the recent Yankee dynasty. 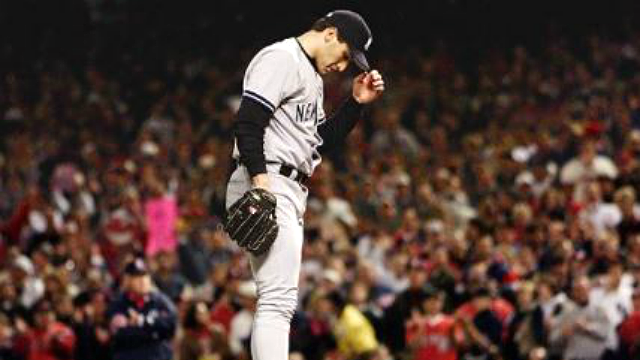 The unfavorable endings of the both 2001 World Series and 2004 ALCS are so memorable not just because of their natural excitement, but because so much of the action came against Rivera—it’s as if nobody could believe their eyes. All of this adds up to a simple, undeniable fact: we will never see another Mariano Rivera. He is, by any standard, the most dominant relief pitcher in baseball history, the baseline against which all other relievers are judged. His postseason heroics will never be matched, his longevity defies belief and, of course, he did it all with one pitch for two decades. Tom Kelly, the manager of the 1996 Minnesota Twins, best summarized him after an early season matchup against the ’96 version of Rivera: “He should be in a higher league. Ban him from baseball; he should be illegal.” Voters now have a chance to actually put him in a higher league by making him baseball’s first unanimous Hall of Famer. After all, if Rivera pitched without peers throughout his career, that is how he ought to be inducted to the Hall of Fame: a cut above the rest, having accomplished what nobody else could do, or will ever do again. In four weeks and five days MLB and the BBWAA will reveal the 2019 National Baseball Hall of Fame class. Mariano Rivera is a lock for induction. Edgar Martinez seems like a good bet for induction in his tenth and final year on the ballot. Rivera and Martinez going in the same year is kinda funny seeing how Edgar is pretty much the only hitter who solved Rivera (.579/.652/1.053 in 23 plate appearances!). Among the many players on the ballot who will not receive enough votes for induction into the Hall of Fame next year is Andy Pettitte. As of this writing Ryan Thibodaux’s ballot tracker says Pettitte has appeared on only 11.3% of submitted ballots — that is eight votes on 70 public ballots — well below the 75% needed for induction. Pettitte should clear the 5% needed to remain on the ballot another year. Induction won’t happen in 2019 though. And that’s fine. Pettitte is, clearly, on the very short list of all-time great Yankees pitchers. He is the franchise leader in strikeouts (2,020) and tied with Whitey Ford for the franchise lead in starts (438). Pettitte is top three in pitching WAR (+51.4), wins (219), innings (2,796.1), and a bunch of other things. And he was a key component of five World Series championship teams. He didn’t just come along for the ride and win a ring as a bystander. The Yankees retired No. 46 for Pettitte three years ago and deservedly so. 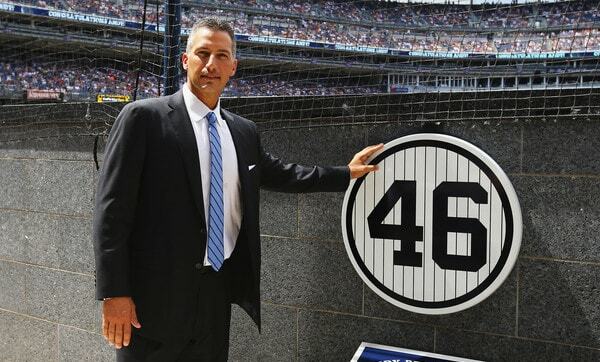 The Hall of Fame standard is much higher than the “the Yankees should retire his number” standard though, and, to me, Pettitte doesn’t meet that Hall of Fame standard. I can sum this up in three points. 1. Pettitte had the longevity but not the peak. Let’s do the ol’ blind comparison test, shall we? Mystery Pitcher here is a fellow lefty who pitched in the same era as Pettitte. Give up? Mystery Pitcher is Mark Buehrle. Buehrle was really good! Had he not spent most of his career on some crummy White Sox teams, he’d have more wins and more postseason appearances to his credit, but that’s not really his fault. He did his part. His teammates didn’t. Does anyone think Buehrle is a Hall of Famer? Nah. A Hall of Very Good pitcher through and through, and gosh, it sure is tough to tell him apart from Pettitte, statistically. For all intents and purposes, Pettitte was a consistently above-average pitcher for a very long time but he was never top of the league and on the short list of the game’s best. Seventeen times in 18 big league seasons Pettitte posted at least a 100 ERA+. Only six times in those 18 seasons did he best a 112 ERA+, however, and in three of those six seasons he made no more than 22 starts. Andy’s career is one of longevity, not top of the game dominance, and you typically need both to land in Cooperstown. 2. His postseason resume doesn’t boost his candidacy much. Five World Series rings is crazy impressive, and Pettitte is the all-time leader in postseason wins (19 — leads by four) and innings (276.2 — leads by 58.1), but his overall postseason body of work was more really good than great. He has a career 3.81 ERA in October, which more or less matches his regular season 3.85 ERA. Pettitte’s had some postseason gems (like this one and this one) but also some postseason stinkers (like this one and this one). 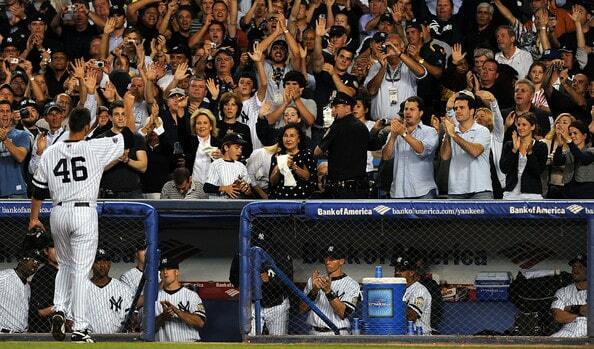 There is definitely something to be said for just how much Pettitte pitched in the postseason. The addition of the LDS round in 1995 and the fact the Yankees were so good for so long allowed Andy to rack up those postseason innings and he did answer the bell. I mean, a 3.81 ERA in 276.2 postseason innings is pretty bonkers. That’s more than an extra season’s worth of innings in his career. So perhaps knocking him for being merely very good and not truly great in October is wrong. It just seems to me there’s not enough October excellence to push Pettitte into Cooperstown. 3. It doesn’t matter that he’s better than someone who’s already in. With the Hall of Fame, it’s very easy to fall into the “well if this guy is in then that guy should be in” trap, and, with Pettitte (and others), the Jack Morris comparisons are inevitable. Pettitte compares very favorably to Morris statistically — he has him beat handily in both versions of WAR (60.7/68.9 to 44.0/55.8) despite throwing roughly 500 fewer innings — so, if Morris is in, Pettitte belongs to be in too, right? Well, no. That’s the wrong way to look at this. For starters, Morris maxed out his 15 years on the BBWAA Hall of Fame ballot and was not voted into Cooperstown. The Modern Era committee had to vote him in last year. Yeah, he passed, but only because the teacher gave him an extra credit assignment. Secondly, Morris has the highest ERA (3.90) and third lowest ERA+ (105) among full-time pitchers in the Hall of Fame. A case can be made he’s the least accomplished pitcher in Hall of Fame. Morris was great! But this shouldn’t be the standard for induction. When that’s the sort of comparison that has to be made to get Pettitte into Cooperstown — Andy would have the second highest ERA among Hall of Famers should he get voted in — well, it’s a losing argument. The voters would be doing a disservice to fans and the Hall of Fame by lowering the standards for induction based on a handful of players who probably shouldn’t be in but are in. Morris is one of them. Pettitte would be as well. Personally, I don’t get too upset about performance-enhancing drugs, but many voters do, and Pettitte is an admitted human growth hormone user. There is definitely selective outrage with PEDs — generally speaking, we only get outraged when the players we don’t like use them — but some Hall of Fame voters undoubtedly will hold it against Pettitte when the time comes to submit their ballot. In Pettitte’s case, this wouldn’t be PEDs keeping a surefire Hall of Famer like Roger Clemens or Barry Bonds out of the Cooperstown. Pettitte is more of a borderline candidate. The current (small sample) voting totals make it clear the voting body doesn’t consider him a strong candidate. Even without the PED stuff — lots of people seem willing to gloss over that with Andy anyway — he wouldn’t be a lock for induction. The performance doesn’t make an overwhelming case for Cooperstown. There’s nothing wrong with being an all-time great Yankee and something short of a Hall of Famer. It doesn’t take away from what Pettitte accomplished and it certainly doesn’t change the way I feel about him or how I felt watching him pitch. Those memories aren’t tarnished. Maybe Pettitte will pull a Morris and get voted into Cooperstown somewhere down the line. If he does, cool. If not, I’ll live. He’s still the greatest Yankees starter I’ve ever seen and a huge part of my formative years as a baseball fan. The Yankees and Angels continue their three-game series later tonight, but not until 7pm ET. Saturday night games are The Worst. Here are some notes to check out before first pitch. Andy Pettitte is officially an Old Timer. The Yankees announced the 2018 Old Timers’ Day roster earlier this week and Pettitte is among the first-timers, along with Jason Giambi, Nick Swisher, Dion James, and (of course) Aaron Boone. The usual cast of characters will be in attendance as well. Here is the press release. Old Timers’ Day is Sunday, June 17th, this year. Pettitte, who turns 46 next month and recently became a grandfather, retired for good following the 2013 season. He will be Hall of Fame eligible for the first time later this year. Mike Mussina has been unable to get over the hump and into Cooperstown, and based on that, I don’t think Pettitte is getting voted in anytime soon. I do think he’ll stay on the ballot for several years though. Going to be fun to see him at Old Timers’ Day. Turang was mentioned as a candidate to go No. 1 overall entering last summer, and while he hasn’t lived up to those expectations, he’s still a talented shortstop in a Draft thin at that position. A variety of high school position players get mentioned with New York, including Adams, Casas, Edwards and outfielder Mike Siani (Pennsylvania). Here are my write-ups on Turang, Siani, and Triston Casas. Could’ve sworn I wrote one for North Carolina OF Jordyn Adams, but apparently not. Florida HS SS Xavier Edwards is still on my list of draft prospects to profile. Anyway, once again the Yankees are connected to bats. That has been the case all spring. Aside from guys expected to go in the top 5-10 picks, this draft class is light on college bats, so it’s no surprise the Yankees are connected mostly to high school kids. The draft is a week from Monday. It’s unclear whether the Nike swoosh will appear in a similar spot going forward. 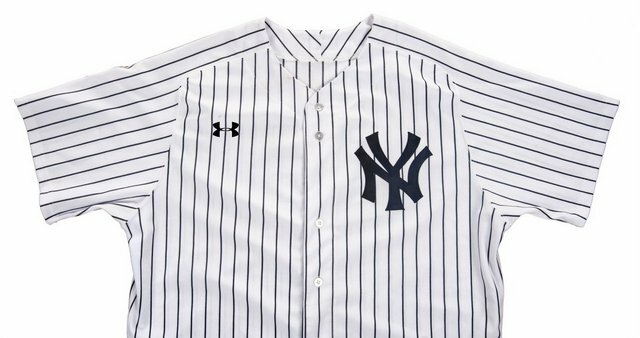 Majestic currently provides MLB apparel and their logo appears on the sleeves of all jerseys except the Yankees. The Yankees were granted an exception. They weren’t getting an exemption from Under Armour. No idea what’s up with the Nike deal. I’m of the belief it’s only a matter of time until there are advertisements on MLB jerseys — they’re not going to look like NASCAR cars or anything, but I bet we see advertisement patches on sleeves in the near future — and a logo on the chest of jerseys is step one. Well, no, step one was the Majestic logo on jersey sleeves and step two was the New Era logo on the side of caps. A logo featured on the front of jerseys is step three. Jersey ads are coming. Maybe not with the Nike deal, but eventually. There is also no evidence that any variations in the ball occur either intentionally or through substandard quality control by Rawlings. If anything, they would be inherent to the manufacturing process, which relies on substantial “by hand” labor. The committee in charge provided recommendations, which include potentially establishing standards for storage (i.e. a humidor in all parks). Homers are actually down this year — teams are averaging 1.12 homers per game, down from 1.26 last year and 1.16 homer the year before — but they’re still flying out of the park at one of the highest rates in history. I like dingers. Dingers are cool. If MLB does something to reduce dingers, I’ll be bummed, but I’d understand. The 1998 Yankees were perhaps the most infallible team in baseball history. They went from a 1-4 start to a 61-20 first half and rode that all the way to the best regular season record in franchise history. But in the postseason, for one brief moment, they were on the brink. They were seemingly the underdogs. They were ripe for the picking. That’s because as good as the 98 Yankees were, the late 90s Cleveland Indians were a force to be reckoned with, particularly on the offensive side of things. Having appeared in two of the last three World Series, Cleveland was on the verge of a dynasty of its own if the cards broke right and could have very well been known as the American League’s team of the 90s. Mike already detailed their lineup in his Orlando Hernandez piece, but it’s worth taking a second look. They had in-his-prime Manny Ramirez, who had hit 45 home runs and driven in a ridiculous 145 runs. Future Hall of Famer Jim Thome, who was batting sixth for some reason despite a team-best 152 wRC+. Travis Fryman, David Justice and Mark Whiten provided a veteran backbone to the lineup while Kenny Lofton and Omar Vizquel combined for 91 steals in what was each of their age-31 seasons. Yet the Yankees jumped ahead of Cleveland in Game 1 as expected and had David Cone on the hill for Game 2. After how well the Yankees hit in the first inning to blitz Jaret Wright, it seemed like the Bombers would have little trouble with a team that finished with 25 fewer wins than them in the regular season. Yet Game 2 didn’t go according to plan. The Chuck Knoblauch play is what sticks out from the stunning defeat. Future Yankee Enrique Wilson stumbling around third and ending up nearly flat on his face while scoring the winning run, all while Knoblauch (justifiably) protested that Fryman had run in the basepath. But it wasn’t just one play that lost the game. No, it was a lackluster offense that did the Yankees in. They stranded six runners in scoring position and only pushed across one run across 12 frames. Martinez was one of the culprits, putting together just a walk in 10 plate appearances while failing to drive in O’Neill from third in the fourth inning. Knoblauch went hitless in six at-bats and the team was just 7-for-43 against Charles Nagy and six relievers. Welp. Still, the team wasn’t about to lose its head after one bad game. Game 3 somehow went worse. The Yanks pushed across a run in the first inning and that was it. Just one run once again. But in this one, it wouldn’t be a pitchers’ duel; The Cleveland offense came alive and showed what got them there. Andy Pettitte ran into trouble from the start but worked out of it in the first. But five pitches into the second, Thome homered to draw Cleveland even in the second inning before Wilson put them ahead with an RBI single. Pettitte had performed well enough in the ALDS to earn the start, but this start would look closer to his lackluster August and September in which he combined for 6.13 ERA in 58 2/3 innings. So it didn’t necessarily surprise when he allowed three home runs, one each to Ramirez, Whiten and Thome, in the fifth inning before he was unceremoniously pulled. The performance had Joe Torre seemingly shaky on Pettitte’s status for a potential Game 7 and likely led to his demotion from Game 3 to Game 4 in the World Series. On the offensive end, the Yankees had a single walk in 12 plate appearances over the last four innings and even that walk was erased on a Derek Jeter GIDP. Bartolo Colon would close out the four-hitter by striking out Martinez. You know the rest of the story. El Duque begins his legendary postseason career with his dominant Game 4. David Wells outpitched Chad Ogea in Game 5 and the Yankees hit their way to a Game 6 win that was sealed by Jeter (aided by some WTF defense from Manny) and Mariano Rivera. But as Cone said, the Yankees had a real gut-check moment. They had to overcome a legitimate challenge, one that surely scared fans a bit more after the Yanks blew a 2-1 lead in the 1997 ALDS to the same Indians team. It’s not hard to imagine a scenario where the ’98 Yanks are more ’01 Mariners than ’27 Yankees and the world suffered through a Cleveland-San Diego World Series. Thankfully, the gut-check moment was passed with flying colors.